Ada pertanyaan untuk Quality Inn Angus? Baik untuk tujuan wisata atau bisnis, Quality Inn Angus adalah pilihan akomodasi yang tepat ketika mengunjungi Wellington. Dari sini, para tamu dapat menikmati akses mudah ke semua hal yang dimiliki oleh kota yang aktif ini. Ropata Medical Centre, Hutt Hospital, Wellington Night Market dapat dicapai dengan mudah. Pelayanan dan fasilitas kelas satunya menggambarkan pengalaman menginap di Choice Hotels yang tengah menantikan Anda di Quality Inn Angus. Properti ini menawarkan sejumlah fasilitas di tempat untuk memuaskan segala jenis tamu. Semua akomodasi tamu dilengkapi dengan fasilitas yang telah dirancang dengan baik demi menjaga kenyamanan maksimum. Properti ini menawarkan fasilitas fantastis, termasuk pusat kebugaran, sauna, kolam renang luar ruangan, spa, taman, untuk membantu Anda bersantai setelah beraktivitas seharian di kota. 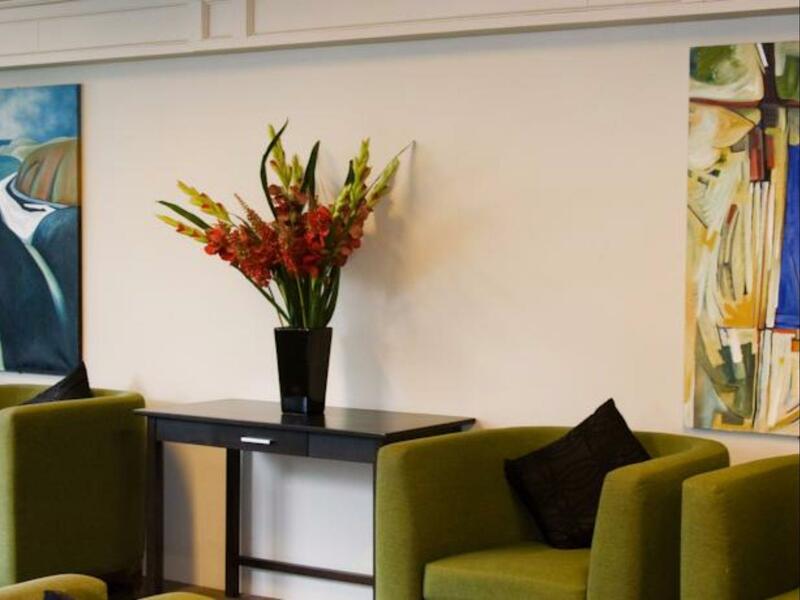 Apapun alasan Anda mengunjungi Wellington, Quality Inn Angus adalah tempat yang sempurna untuk liburan yang menyenangkan. Clean and comfortable place to stay. Close to shops and restaurants. Friendly staff. I like this place. Nice room, comfortable bed, good shower. Friendly staff. It is fairly quiet. Plenty of off-street parking. I did not use the restaurant or bar but went across to the mall for shopping and a meal. The room was immaculate.Very friendly and helpful staff.Will stay there again. Friendly staff, private and really good value for money. Also enjoyed the quality of food and service from the restaurant. I love how central it is to the mall, supermarkets and take out. The staff were all amazing and my 9 yyear old loved pickles... thanks everyone for making our stay so enjoyable. Would have loved a spa though..
Nice and quiet..... mall right across the road is handy. My wife and I enjoyed our recent stay. 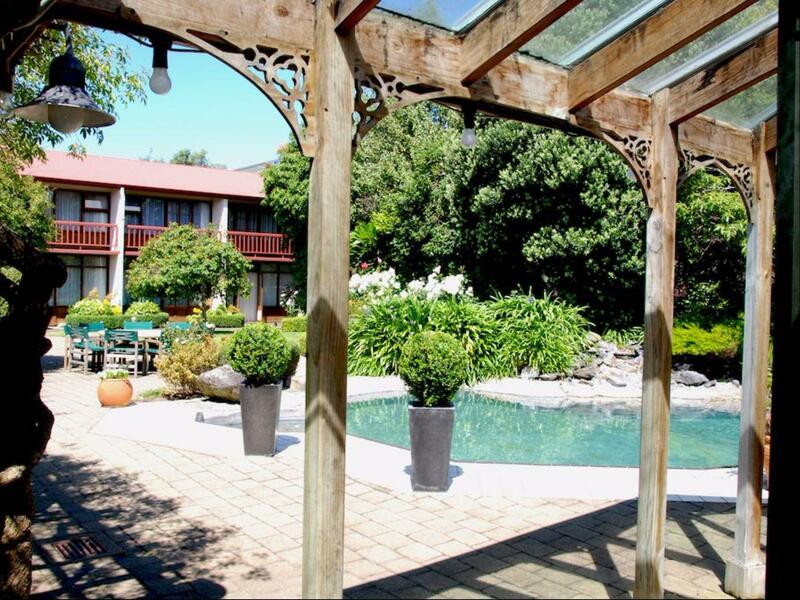 We recommend this property to anyone visiting Wellington/Lower Hutt. It was an OK hotel but it is not in Wellington !!! It is a 20 minute bus ride away from Wellington. Inconvenient but not outrageous. It is the best place to eat but we had issues with the food. Lovely staff, close to mall, quiet as. Perfect!!! No problems at all. Very good. Our unit was clean and tidy and the staff were pleasant. The unit was smaller than I thought it would have been and I hadn't read details of the unit carefully enough (I thought there would be some kind of cooking facility for breakfasts eg a toaster or a microwave. However, I will return at a future date as it is so well suited to our needs location-wise. Lovely staff, locality, very very Quiet. Really good. Lovely staff and so easy to get on with. Bedrooms were awesome to sleep in. The bathroom was dated and had no air vents which made the room very damp and slippery. The shower was over the bath which is not suitable especially when the bath was so slippery. There was no shower mat in the bath to prevent slipping. This resulted in me slipping in the bath when I got in and damaging my knee as it hit the edge of the bath. Very dangerous and spoilt our stay. Westfield shopping mall is just across the road, and nice restaurant and bar on site. There is a sink in the room which is quite unique and convenient so you don't have to go to the toilet every time you want to wash your hands. The parrot Pickle is very friendly as well. Awesome location. Just next to huge shopping Mall, grocery super market. Bus stop out side of hotel. Quite a large room however the space was not utilised well, old cane type table and chairs that were low to the ground made it impossible for me too work or eat breakfast on, the room was quite dated, I was interested to read previous feedback where staff entered the room without knocking, I thought nothing of it as people make mistakes, however it happened to me also, at 7.45 am and no I didn't think I would have to have a do not disturb sign on the door at that time of the morning, you will need to fix this! Staff were very helpful and friendly. Room were a little dated but clean and tidy and comfortable. We stayed 2 nights but were out both nights so never got to experience the restaurant or bar so put a 3 in the review but should be deleted.